This auction features London 2012 Olympic Rings Messenger Bag, Bike, Bankers Light, 21" LCD TV, Wii Guitar, Coca Cola Portable Fridge, Teacups, Chain link fence door and much more! 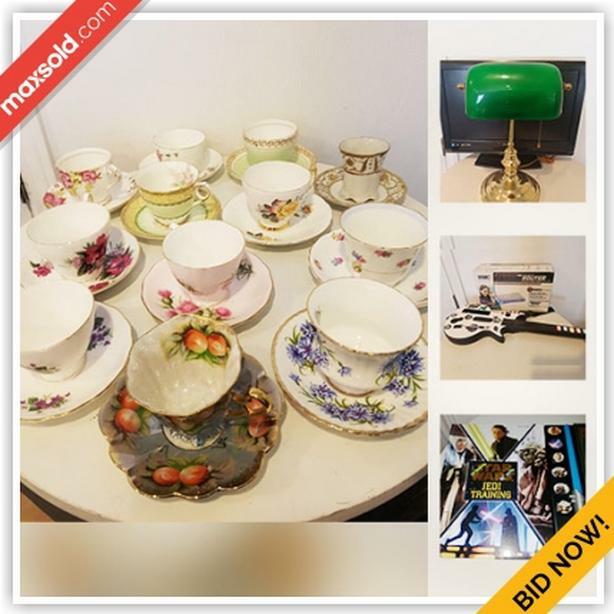 Please view catalog and pictures online at MaxSold (https://maxsold.maxsold.com/auction/15426?utm_source=Used&utm_medium=post&utm_campaign=London-HamiltonRoad). Everything will SELL BY Tuesday April 09, 2019 8:00 PM regardless of price - everything starts at just $1. For more information, please visit our website.